How do you create a lead sheet, a contact form, a questionnaire, a call to action in your post? Google Docs allows you to not only create private forms, spreadsheets, and presentations, now you can embed them into your Website or Blog. You also have the choice to share those forms and docs with others. You can even invite others to view or collaborate on your work. This could be a great tool, it has the potential to take your readers from being a viewer to being a potential lead. Here's a sample of one I did creating a suggestion box. First, you will need a Gmail Account. It's FREE, and this doesn't mean you have to change or even use this email address, it's just your log-in for everything Google. (Highly Recommended even if you don't use Google Docs) Go to Google and log-in or Sign up for Gmail. Once you have your account setup, go to Google Docs to create your forms, documents, spreadsheets and presentations on-line. You can also upload your existing creations from your computer. If you'd like, Take a tour of Google Docs before you begin. There are 100's of Templates already created for you to choose from, or you can create your own. There's even a Help Center for those needing a little assistance and support. 2. Give your Form a title, include some supporting text (optional), Label your field or question, add field supporting text (optional), select question type and format for responses, put a check in the box to make field required or not, then click DONE. Add additional questions by clicking on the "Add Question" button at the top. Don't worry about the order of your questions and fields, you can "drag and drop" them and sort them later. Repeat this process for each field or question. 3. Once your form is complete and you are satisfied, click "SAVE" in the upper right hand corner. Now you have some options available that can make your form a valuable tool that you can share. You can send your form to clients and prospects via email, you can also view your responses here. Next, use the "More Actions" button to A) Create and Edit an automatic response form, and B) to "EMBED YOUR FORM INTO YOUR WEBSITE OR BLOG POST." This is one of Google Docs best features in my opinion. 4. Click on "MORE ACTIONS" to get your code. 6. To view your responses and new leads, just go to your Google Docs, and open the form. All your results will be right there for you to follow up with. How cool is this? Note: Any updates or edits made to your original forms, documents and presentations on Google Docs are automatically updated in all the locations you have placed them on the Web. There's no need to go back and replace the HTML code on your Websites or Blogs, so place it in as many locations as you'd like. Now you just have to be creative and decide how you want to use a tool like this. Decide what questions or fields of information you need to make this a powerful tool for your on-line business and customers. TIP: Don't go overboard with questions, people get overwhelmed easily in many cases, and won't take the time to fill it out if there are too many. I hope this is easy enough for you to use and to understand. As always, thanks for reading and taking time to visit. It's always nice to have you swing by and say hi. Very helpful advice! I always wondered how to do this. I'm off to give it a try. Thank you. Thank you for such wonderful insite - I will work on it - it might take me a week but I will do! hi Brad, were you ever a teacher? Your tutorials are always so well put together. Clear, easy to follow/understand and well illustrated. When does the guide to Active Rain book come out? Just kidding! Have a great weekend bud! Brad ... your awesome! I need a full time person to implement all the cool stuff I learn about everyday! thanks ..
Wow. This is high tech stuff. Thank you for sharing, although I don't think I will ever have a post that will utilize this function, I will certainly keep in bookmarked just in case. Thanks for the tip Brad! I've been using all the Google tools but mainly used Google Docs for document sharing. This is another great use so thanks again. I've been using Google docs for awhile now. It makes being able to access important info so easy from any computer, I love it. I haven't used the collaborative feature yet, but look forward to giving it a try. Brad, Thank you for the information, it is always good to learn something new. I will try it soon! I really like google docs and I use the form feature for personal stuff and i am working to integrate it into professional use. Great information. I have never used Google Docs, but I plan to after reading this blog. I have heard about Google doc but with out your explanation I most likely would not have looked at it thanks for your continued efforts. Thank you for the awesome information! I am going to have to give it a try. Thanks a lot Brad. I am definitely going to give this a try sometime next week. I have heard of Google docs but I didn't know much about it. Have a great one. Brad: Enjoyed the Plain English version. Is that you? I have seen another video on another topic by the same person....very fun to watch. Simple and easy to understand. Very cool, Brad. I know about Google Docs but have never done anything with it. We're gonna have to start calling you the GoogleMeister. Brad....your knowledge never ceases to amaze me! I can imagine the headache I'd have if I could spend 8 hours in the same room with you! Yikes! Brad, thanks for sharing this! I see them but I have never used them. Your post has just changed my mind. I'm going to have to try this out. Thanks for the advice and tutorial. Enjoy your day. Regards, C.
Brad, there's so much Google offers as far as web based services. Thanks for this overview, and also the YouTube on Google Docs. Brad, very cool. Its midnight and I will have to review this one.Great way to keep in contact. This is great information ... I've had trouble adding scripts to my posts but this really simplifies things. Thanks! I sure need to learn how to use Google docs. Thank you for a very clear instruction. Great tip! Brad-Thank you for the wonderful info. I love AR and have quickly become addicted. There is so much info that it can be very overwhelming especially for a newbie. Your posts have been a great help. I admire all the great work you do on AR and also that your hero is God. That's really cool! Brad, This is such a fantastic tool. Thank you for one more great tutorial. Wow this is awesome.... Thank you for taking the time to post. Brad, I use to use Google Docs when it was called something else that I can't seem to remember right now, before Google bought it out. It was what I used when writing my blog articles but this is great...I never thought about using it for forms, spreadsheets etc. You're the best...now if you could just get rid of weblin for me I would simply adore you! Brad, great tutorial on google forms. I didn't know all of this stuff, though. Love it!!! Brad, you are so amazing w/ the information you have. I just need to catch up w/ you on technology. I can get overwhelmed at times. But I keep working on it! I just dont get how you always have such insight. I mean seriously this is the stuff we all need to be on top of and it seems like every day I read another thing I need to have. Is there a way to go back over the past few years and read up on all that was laid out before I got here? I feel like I must have missed an awful lot. I was looking for a solution like this. Some sort of email thing that I could interact with users on my new site. I was thinking some sort of system of autoresponders set up with different accounts for different pages IE learnaboutbuying@blahblah.com but then I realized that would be justl like you said.. too many different forms. Having a centralized area where site goers can input as well as receive is exactly what people want. You can get what you want and they get what they want its all about providing value. Seriously I spent like 5 hours today trying to solve this and I think this is the exact thing I needed. Pretty interesting, Google Docs is very powerful and didn't realize I could use for the benefit of blogging. I wonder how clever I can use the form for, I liked your suggestion form in your previous blog. I didn't even realize this was an option. Thank you so much for the recommendation. I think this may be a tremendous asset. THIS IS AWESOME!!! I LOVE GOOGLE!!! I didn't even realize that you could do FORMS with Google Docs! Thanks for the insight on this-- bookmarking and will come back and tackle it step by step. Thanks. Love it! Now would the process work the same way with a website, not just a blog site? I've always had problems figuring out how to embed into my website. Thank you Brad- you make learning things a pleasant and enjoyable experience. You have a knack and gift for expaining things so well and making them seems so easy! thank you so much for your tutorials and step by step instructions. Thanks for the detailed instructions.I will bookmark this and use it later. That is amazing. I was going crazy trying to figure out how to create a simple form in FrontPage for my website. I know it's not that difficult but I just couldn't figure it out. This seems to be very simple and easy. Thanks for the tutorial. Fabulous----Now I just need the time to figure it all out. Many thanks! Thanks Brad. This is really good info to have, and now I understand the purpose and value of Google Docs. This is very cool Brad. I'll be placing all of my shortsale questionaires on these forms for emailing to potential sellers. Wooo Hooo!! I am creating one right now to imbed in my blog that will give consumers a way to ask for specifics in regards to search for foreclosures. Edit: Brad, your instructions were right on the money! It took just a few minutes and I created a custom foreclosure search on my blog. I tested it, and it works beautifully! Again, thank you SO much! I started playing with this last week, I hadn't been in it for a long time. Lo and Behold there was a google doc from you in there from month and months and months ago. I can't even remember hos that happened. I've used Google Docs quite a bit .... but I'd never looked at the Form builder tool. That's cool! Thanks. Brad- thanks for the tips and I will try to implement this? Brad: This is awesome. THANKS. You are the man Brad! I can't begin to tell you what a difference this will make in my blogroll. I cannot figure out how to upload pictures to my blog. Do they have to be put out there on the web somewhere first so I can linK to them? Help! Help! I am sure you have written about this before, so I feel pretty silly and embarrassed even asking. As if There weren't enough things on my " To Do " list. Thanks Brad ! Great post! Thanks for the information. I'll check it out. Brad, I've got to give it to you. That is way too sweet!!! I have been wondering how to make things more streamline in my life and I am sure that will help. Thanks a bunch as always. I learn something new every day. Great way to gather contact info. Thanks for sharing! Wow! 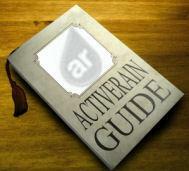 Again, you find and explain in detail even more tools and resources to build our presence and make it something that can actually give us some return on our effort here at ActiveRain! I am going to have to bookmark this one for later this week. I am heading for church and this afternoon will participate in our company wide open house so I truly appreciate your help and easy to follow instructions! Brad - this is cool stuff! Thanks for making life easier for us. I saved this post in my google favorites on my toolbar, but wanted to save it through SnagIt - I have Version 9 and clicked on the scrolling web page, but it will only capture what's showing on the screen, rather than all you wrote. Is there something in the ActiveRain code that thwarts the usual scrolling function in SnagIt? One more great feature for me to bookmark. I am sure my wife will find something to use this for! We've been playing with this all morning, AWESOME! I am so eager to implement it, Thanks!!! Very nice tutorial Brad. Another Bookmark for me! Now that I can add links to my blogs - it's on to learning to use more tools. Thanks. I love googl docs but havent played aroudn with it this much. Thank you so much for the very helpful tips and tricks, keep them coming. I am going to book mark your blog now so I dont forget to take a look at this. Great stuff Brad! I love using all of the google tools! They just keep coming up with new "FREE" tools that are helpful. What a great find. Brad -- this is fantastic, helpful info! Although I have a gmail account and use Google daily, I hadn't ventured into the forms and docs area yet ... I imagined it would be too difficult to navigate. But you've made it easy -- THANK YOU!! Thanks, Brad! I must check this out! I DID NOT KNOW THIS!!! Thank you so much for sharing Brad! How about adding docs such as floor plans or PDF files so if someone requests a doc..they can just pull it from my blog. Brad - I already posted one form, but have a question: on Question Type, there is "multiple choice" and "checkboxes". Will either of these allow the reader to check multiple boxes? I couldn't find any instructions online that described what the various question types do. Very cool! I just signed up for gmail and created my first form! Thanks Brad! You are awesome! OK Brad, I'll do it. But before I try that I have to confess: I cannot figure out how to upload pictures to my blog. Do they have to be put out there on the web somewhere first so I can linK to them? Help! Help! I am sure you have written about this before, so I feel pretty silly and embarrassed even asking. Look for this icon on the tool bar of your post or comment to add photos, you can upload them from your computer or put the URL where they are located on-line. Once you click on this box, just click "Browse", find your photo or image, then select "Upload" and that's it. If you are using a photo you have on the web already, just enter the URL where it's located in the Box that says "Image URL". Hope this helps. Thank you Brad for sharing this with us. I will open my gmail account today. Brad - thanks for great information on google docs. This will create another call for action. I can see where many of us in the industry could use this for generating leads or gathering information: Let me give it a shot, but those of you in these "fields" will come up with much better ways to use these created forms in a Blog post or on a website. REALTORS® - Collect Information for Buyers, Sellers, Investors, and Relocation data for purchasing and selling home. Appraisers - Property information and details for appraisals, comps, etc. Home Stagers - What kind of Budget do sellers have, Home details and information you need to setup appointments and consultations. Title Companies - There are tons of ways a title company could use these forms, just ask any consumer. LOL~ Been there, done that! Movers - Solicit information about Home items, valuables, moving details, dates, times, locations etc. The point is, ANYONE could use these if they take the time to figure out what areas they may be needed. I think you get the idea, but you know your industry better than I do, and how a tool like this might benefit your online business, marketing, and customers. Ok I made my first form for my site. Is there a way to set this up so you are emailed when someone responds? I dont see the option. Also did you notice the plugins? Wow! Brad, this is great and I will give it a try some time. I love the lead generator idea and think it might work for me. P.S. I notice my photo is not included on your montage of members...an oversight I'm sure. Should I send you a copy? WOW thanks for that info!! You are awesome! So tha'ts how you do it. Figures you'd be the first to recognize this. Btw: how do you make a group on ACtive Rain (future blog post for ya?) we think so. In case someone was wondering how to receive email notifications I figured it out. Go to your spreadsheet that is created after you have a form in place. Then upper left corner where it says file then notification rules then set your preferences. It works great so far. Brad- You have done it once again! I was looking into other vendors to add forms to my site and when I saw your "Suggestion Box" email with the form and a google docs reference, I made a note to myself to look into it. And voila - Now I have a great post that lays out the process for me. Thanks as always! Oh Brad, I'm so glad I subscribe to your posts. I learn so much. Thanks for the Google Docs tutorial. Brad, thank you so much! This is extremely useful information that I'll be able to work into my sites and posts easily!! Thank you, thank you! VERY COOL! If I keep reading, I may not be able to claim that I'm not 'techie'. :-) GBU! Thanks for the tutorial Brad! I'm probably going to need that in the next few days. I really appreciate the information. Brad-I signed up for FeedBlitz and created a blog subscription. I copied the script but it's not showing up as a subscribe me button. I could be doing something wrong. Do you or anyone else already have a tutorial on walking through the Feedblitz steps once someone signs up? I am glad to see the gold star finally arrived! Also, this is a really great tool that I will definitely have to look into more detail. I want to try this sometime, it looks interesting. Thanks for the instructions... and thanks to Claire for implementing it. As much as I use Google for stuff, I should have though to look there when I made a "Contact Me" form just the other day! I may just switch this for the other one--it looks better. Thanks Brad. Hey Brad - After your initial post about gdocs a few days ago, I started messing around with it. It's pretty cool but what I would really like to do is create and save my own templates with it. It would be so handy to have a template form that I could email for showing feedback on each listing. I hope that google will continue developing this and not drop the ball and move on to their next big idea. They seem to have a tendency of doing that and I think Chrome is their focus at the moment. Brad: Thanks for an excellent post (as always) and I have to get started putting some needed forms out on my BLOG now. Again thanks for showing us how! Thanks for posting this great info on Google Docs! You are a wealth of information and are so helpful to us AR members! Really Cool Brad! I have a feeling I'll soon be buying my groceries from Google too. They seem to have an iron in every fire. *Screaming! * Who the heck knew! This will save me tons of time - Google is a Beast, and you, Brad are the Beastmaster. Wow, what helpful info! Thanks for posting this and your many other helpful "how to's"
This is very helpful Brad, but I think it would be easier if you would just do this for me when I need a form. Ok? I just created and posted a blog with a question in it! Your instructions were so simple and the blog looks really cool. Chastity - I answered. :-) You did a great job adding that to your post, now imagine all the other ways you could use that as a propery manager... hmmm. Hope your day is better tomorrow, the sushine in the day always starts with and in you!! Interesting, thank you for sharing the forms. I'll have to check it out for sure. This is great info--something I've been trying to learn about for nearly a year! Many thanks. Hazelhoff - I'm sure you'll find a great use for something like this, I can see where a builder could really benefit from forms like this. Learning something new everyday. Thanks for the heads up. I just embedded a form into my AR blog and it works great! In case it wasn't mentioned, you can go into the code to adjust the height and width of your form - the default size is only 314px wide but I increased it to 600 so it fills the page. For you Point 2 users this may be the solution to replacing their limited form options with your own custom form. This is great. Just so happens I was looking for a solution like this and checked my subscription to your blog. Thanks again! Jay - I think you and Monika will find these to be very useful in many different areas of your business. Enjoy! Eric - yes, another great feature about these is that the HTML code is customizable when you embed it here on AR. If you are familar with HTML coding, there is quite a few really great things you can do with these forms and their "presentation" factor. I'm not a point 2 user, but for those who are, that sounds like a great idea. I have heard about many limitations in their application. Maybe these will be an answer or solution. Thanks Eric. Brad, Your information always astounds me. Your posts are very well organized and helpful. Often gives me the idea that I wish to use in the near future. Often I save. I know there are probably others I have missed that were equally good that I missed. This is probably an obvious answer, but where do I go to find the archived posts on the "How Tos" or do you have a book of them available? Thanks. PS Where is the spell check? Frightening. Derenda - just click on my name below, I have more "Help & How-To" posts sorted and categorized there. Great idea & great tutorial! I filled out your form of couple of days ago & was intrigued so I looked up your blog, and there it was....the sequal explanation. I think this has potential for the blogs we use for our outside blog as well. I'm going to try & do it. Awesome tool! Thanks for sharing! Google just keeps coming up with more and more tools to help all size businesses! I haven't seen anything on Business Center Beta yet, any ideas? When I was building my website I had all the pieces but no explanation on how to actually give form to the forms, thanks now I think I got a handle on it. U da best! Thank you so much for posting this info. I have always stored documents under google but didn't know that you could create them as well ! I'm definitely giving this a try ! That's awesome, It's just what I was looking for. Do y ou know how I can create a button for "subscribe to my blog" when I write a blog? Brad--Just read about this on a post by Kris Wales--Thanks Brad! Very helpful! This is fantastic! It sounds easy enough for me to do! Thanks for your post! Brad - this is cool stuff! Thanks for making life easier for us. I saved this post in my google favorites on my toolbar, but wanted to save it through SnagIt - I have Version 9 and clicked on the scrolling web page, but it will only capture what's showing on the screen, rather than all you wrote. Is there something in the ActiveRain code that thwarts the usual scrolling function in SnagIt? Brad, this is great and I will give it a try some time. I love the lead generator idea and think it might work for me. P.S. I notice my photo is not included on your montage of members...an oversight I'm sure. Should I send you a copy? Dane - oh it's there alright, but my darn Blog is covering up many of my favs, you see, they're all "behind the scenes!" lol~ Tell me you didn't spend 20 minutes looking for it on my background did you? haha. Stephanie - there are some posts out there I have seen, I may have even done one, you can check on my AR profile, it would be there and sorted by category if you haven't figured out how to do it already. Will check this out - I use Gmail and love it - plus their calendar with my team! Thanks for sharing! Thanks so much for the info. This is great stuff. I'm new here. Can you tell me what it means to subscribe to a blog? Also, these forms and the ability to create our own is great. Thanks so much! I tried to get the notifier to send an alert to my personal Email but so far I can only get it to go to my Gmail account. Any thoughts? AWSOME!! Thanks so much. I learn so much from you and your tutorials. Can't beat this!! Brad- I added the Google Docs widget to my iGoogle home page; makes it hard to miss an inquiry. I may also try labeling those form submission notifications e-mails and have them forwarded to my main Email. Brad, this is a great post. I never new you could create forms in Google. I guess you learn something every day. I was just looking into some software for this very thing today. I appears I may not have to buy it after all. I'm definitely checking this out! Eric - sounds like a plan, I like gmail because you can forward it unlike yahoo mail unless it's a paid acct. Already using it and lovin it. So much you do with it. Still trying to absorb all that can be done with it. Will this work with a Wordpress Blog? Just checked it out, I did a test form. I have used EmailMeForm-com in the past; it is also a free service for the first 5 forms. The Google docs Form was so easy to do. I've had a gmail account for about a 1yr but not till the last few months I started to explore its other applications. It's great discovering all these features in ActiveRain and Google. You're great. Thank you for the tutoring. I often use the information, or bookmark it for the future - and thought today - on Canada's Thanksgiving - what a perfect reminder - to give Thanks. Very cool. Is there a way to be notified in my email account (not gmail) when a doc receives a response or do I just have to continually monitor it? Brad - You've done it again! Thank you for the great tips. You make it so easy for us less technical by giving us screen shots that walk us all the way through doing something. I appreciate the time you take to share your wisdom!! This is very interesting and good to know. Thanks for the Google tip. Brad- I'm at my wits end...can you help?! I created a form and copied the embed code, pasted it to my blog and it just says "loading..." Any ideas on what I'm doing wrong. The blog is in draft form, is that a problem. Just saw your "Wild Turkey" Post, maybe that's the real problem. Very helpful information. Thanks for posting your article. It will help me move forward and improve my newsletter. Great post Steven. I learn something new every day. Happy Thanksgiving. Steven - Happy (Belated) Thanksgiving! :-)) Have a great weekend. hey Brad, Im always very impressed with the tools and depth of your knowledge of the little things we can do to our websites and blogs to improve them and provide more value to our followers. I am going to take a look at implementing this onto my posts. WOW! I am having sooo nmuch fun, so many great information! OMG, I seem to be going to spend the whole day reading your posts, Brad! I use Google docs with my podcast crew all the time and I NEVER realized I could do web forms there. DUH! Google Docs is very cool. Google drive is an excellent storage service. For example, you can use Google Docs as a backup destination to backup all your data from other cloud services. For example, if you use Evernote and Dropbox, it might good to backup all notes and documents to Google Drive. So please check out cloudHQ (http://cloudHQ.net) - cloudHQ can backup and sync all your files from Dropbox, Evernote, SugarSync, Box, etc. to Google Docs - even Basecamp projects. Hey brad, You just had this blog show up on AR today. I am going to try the Google Docs to creat forms. Are they better than say WUFOO? Hey Brad! How are you? I haven't heard from you in a very long time.. Hope all is perfect! Ciao and stay safe and happy! Just ran into this post. very helpful...even if I am years late in finding it. Thanks, Brad. I wish I had seen this 4 years ago. Great post and tool. Thanks for sharing, unfortunately, I'm not seeing your screen shots on my computer. I'll have to get my granddaughter to help me figure it out. Hi Kimo, even though this was written years ago it still works and I do see the screenshots I just don’t see the video. Google docs are easy to embed on websites and into blog posts etc. let me know if you need any help?